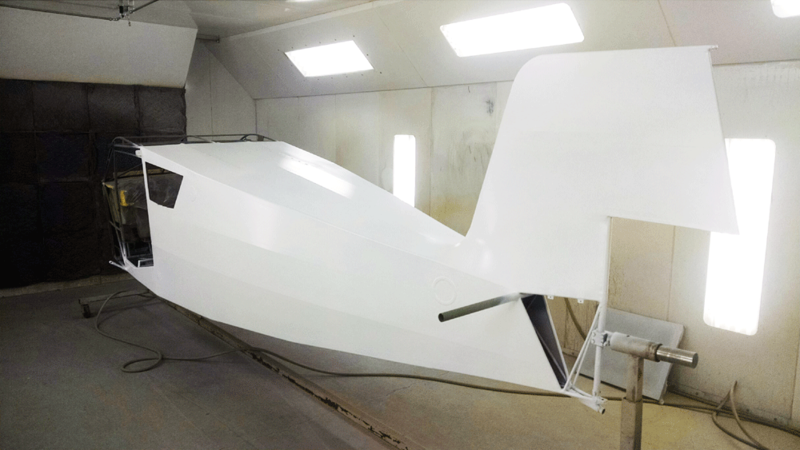 The polybrush was applied last week followed by the silver ultraviolet protective coating. I wasn’t around to get pictures of either of those. 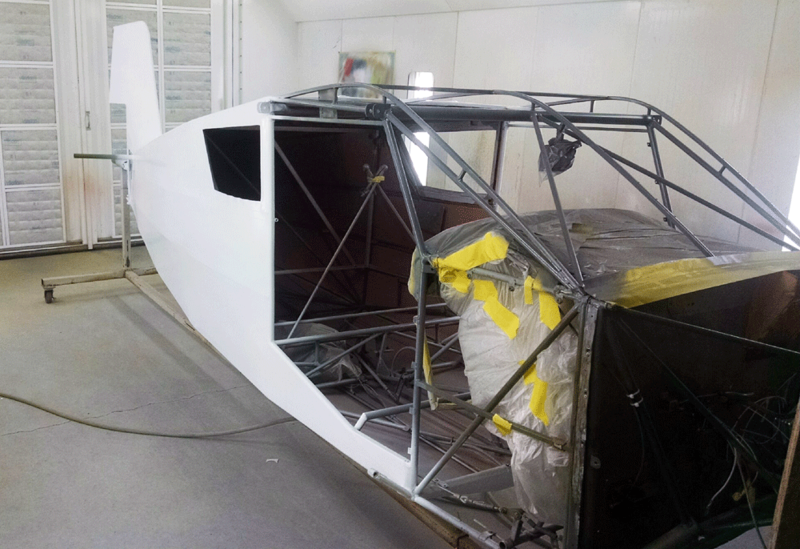 Today she got painted white in preparation for the final color of Cub Yellow.